Have you ever seen a California Style Chain Link Fence? It is likely you would remember it. Arrow Fence Co. installs California Style Chain Link Fences in Andover. This style incorporates wood posts with chain link sections. Which adds intrigue and style to an affordable fencing option. And you don’t have to live in California to have that style fencing, Arrow Fence Co. is a team that can install your new Californian Style Chain Link Fence within the month! Give us a call today and we will stop out for a Free On-Location Estimate tomorrow! Check out our California Style Chain Link Fence Gallery! 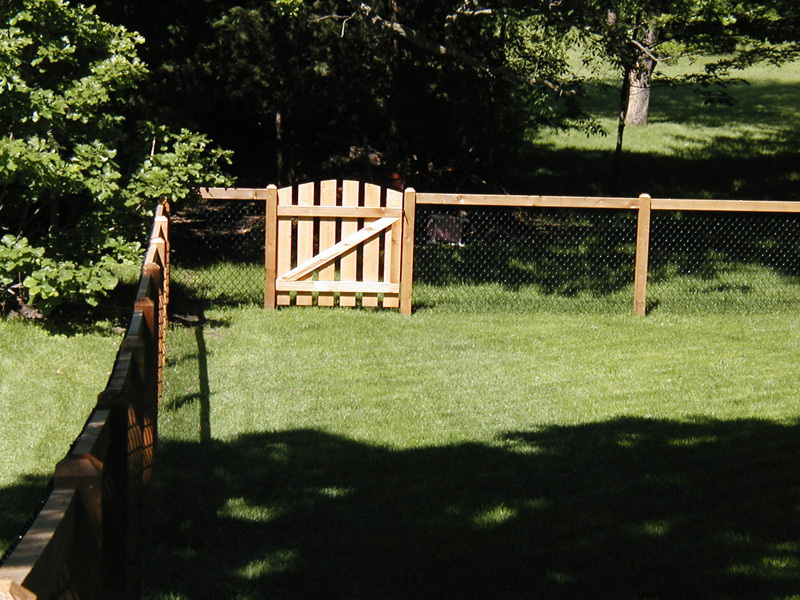 There are many Minnesota Fence Companies that would love to install a California Style Chain Link Fence Addition in your yard. It is your job to select the most qualified. From communication to post integrity and everything in between, you want a company you can easily get ahold of and that cares for your property and their career. Arrow Fence Co. is such a company! 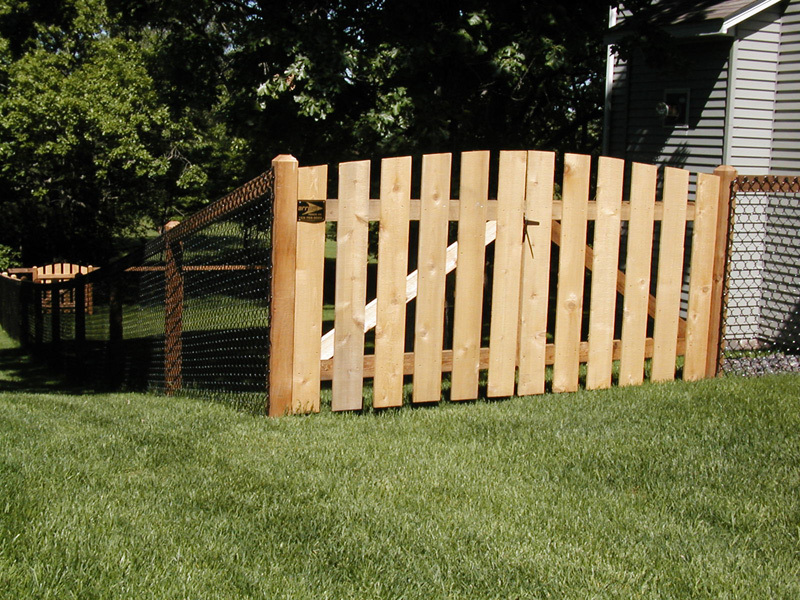 To show that we are serious, all our Fence Installation Services are backed by a 5-year warranty! We are the one fence company you can go to before, during and even up to 5 years after your fence has been installed. We take care of our clients – Read our Google Reviews and verify it! We have built a long-term relationship with this local area and its fencing needs. We take pride and give dedication for every fence installation we complete. Regardless if you are looking to get the most affordable fence or customize your fence for a truly unique addition; Arrow Fence Co. will exceed your needs in every way we can. Contact Arrow Fence Co. during office hours Monday – Friday between 9am-5pm and we will set up an appointment for a free estimate on your new California Style Chain Link Fence Andover. You have nothing to lose and a gorgeous new fence addition to gain. Call (763)755-0088 or fill out our Online Form at anytime and we will contact you back within 2 business days.